The Okanagan region of BC is a summer playland. It is considered high desert by the locals with summer high temperatures in the 90s and low 100s. It's main industry, other than tourism, is agriculture and logging. There are many road side stands selling very fresh fruits and vegetables. Many tourists flock here for their summer outings. 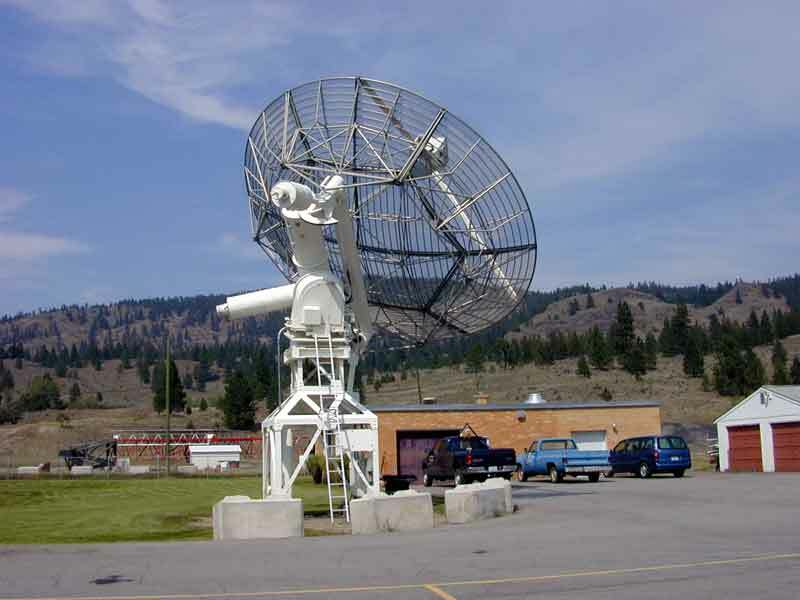 The Dominion Radio Astrophysical Observatory is located about ten miles south of Penticton off Highway 97. 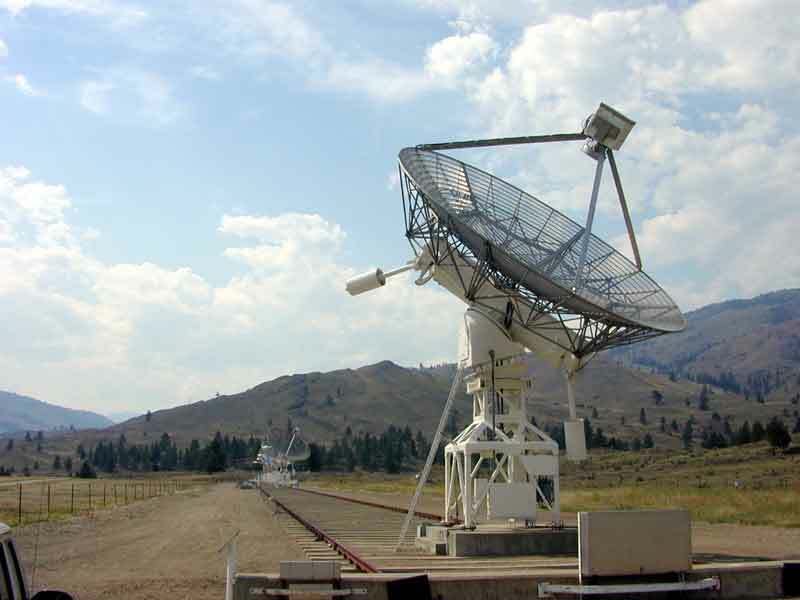 It has a 600 meter baseline array of seven antennas that observe the 21 cm emissions. In other words, it observes the hydrogen clouds in the Milky Way and other places in the universe. 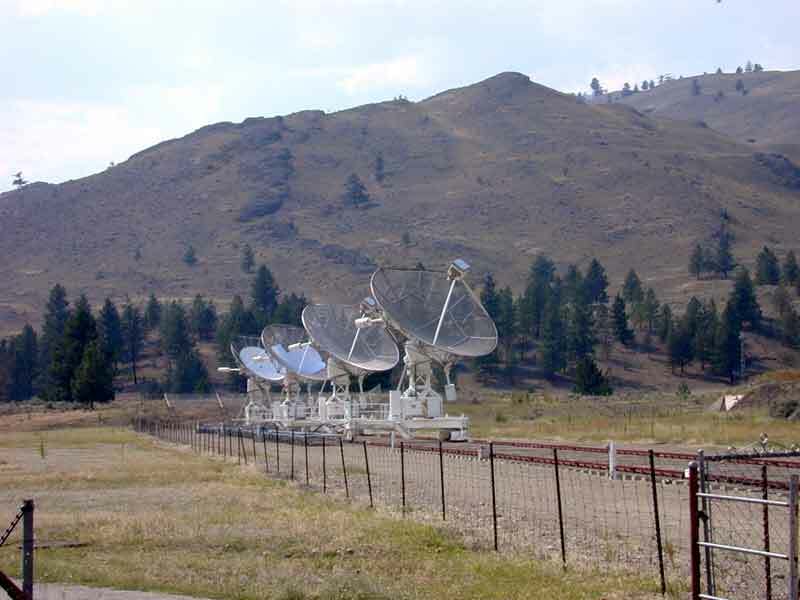 It also has a large, low resolution radio telescope and several smaller antennas that monitor the radio frequency emissions of the Sun. 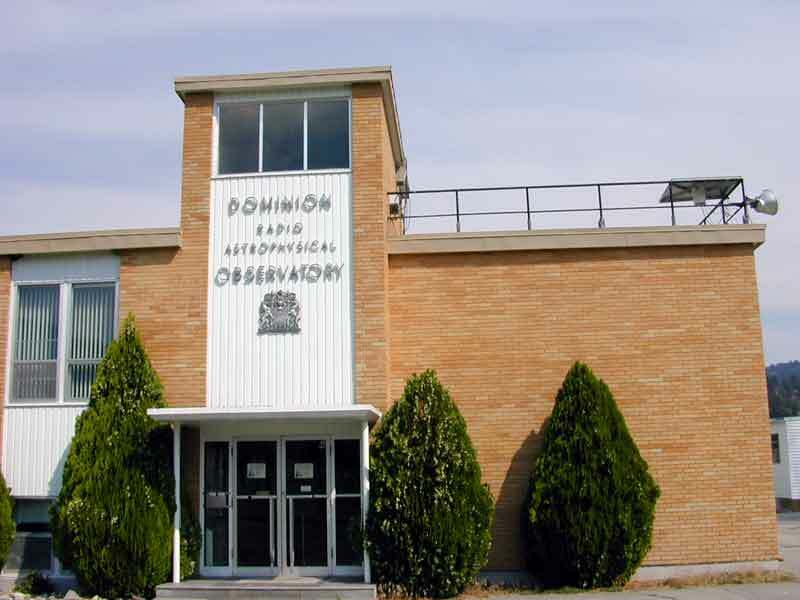 A resident astronomer gives tours on Sunday afternoons that are very interesting for those with a curiosity for this kind of thing. 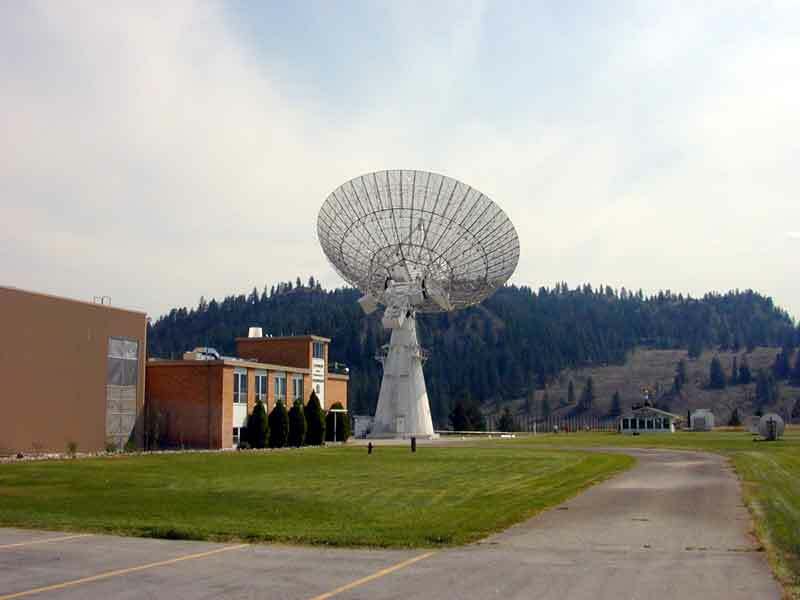 Left: Large, low resolution antenna.